All the hardware you need to set up a haul system in one clean package. The Petzl Crevasse Rescue Kit (aka KIT SECOURS CREVASSE, naturally) is a compact self-contained collection of hauling hardware (no rope as in the RAD system). Using the rope you are hopefully already carrying, and the hardware in the kit, you can rest easy knowing that you are ready to tackle just about any problem that arises. This includes self-induced problems like dropping your candy bar down a crevasse; just go down and fetch it. 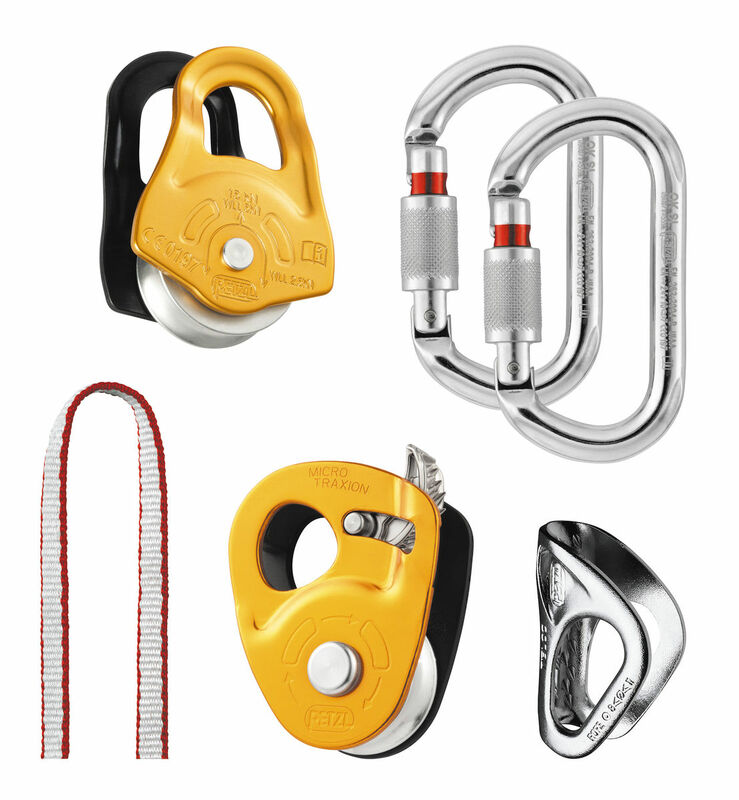 The versatility of the system affords the flexibility to accept rope from 8-11mm thick. Not designed to be a replacement for proper preventative safety measures, the Crevasse Rescue Kit is just about as close as it gets to being a fool-proof way to lift you or a ski partner out of a hole in the ice. One ST’ANNEAU Dyneema webbing sling that weighs a mere 40g and measures 120cm. 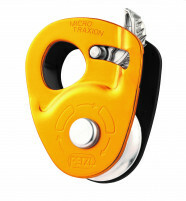 One MICRO TRAXION pulley, a highly efficient pulley/ascender hybrid weighing only 85g that’s designed to increase directional rope security or function as a regular pulley. 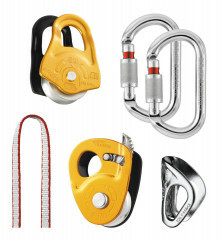 Two OK SCREW-LOCK oval carabiners that weight 74g each. The OK uses a manual screw locking system and is built with a symmetric design to ensure redundant handling in a dire situation. One TIBLOC. At only 39g, the Tibloc is one of the lightest ways to ascend a rope and is built out of corrosion resistant stainless steel. Self-cleaning directional teeth ensure a properly functioning piece of gear no matter the condition. 1 PARTNER pulley. A lightweight aluminum pulley with sealed bearings for maximum efficiency weighing 56g. Rope and deceiving snow-bridge not included. Bottom Line Glacier travel hardware checklist.